Tours and travel always play an important role in one’s life to make them feel recreated. The joy of exploring new places gives us a bunch of good memories to cherish lifelong. The trip goes more exciting if it would be with your dearest ones. Such is my trip to Puducherry! My Periyappa settled at Kalaivar nagar which is at the beginning of Puducherry city. The perspective with which we see things evolves with our age. 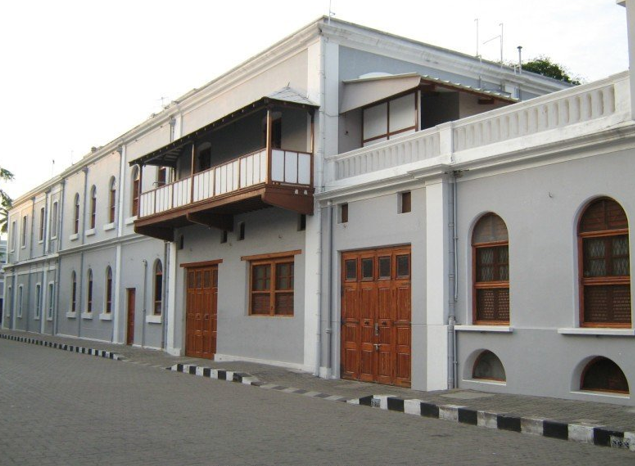 My first trip to Puducherry as a child was just a trip to my periyappa’s house, playing with my sisters at the beach, at the Gandhi statue and at the Aurobindho ashram had nothing to do with significance of those places. At that age, I just saw an ice cream parlour in front of a building, but didn’t notice that the building was actually a wonder of the French architects. I just saw the balloons in front of the art gallery at Gandhi statue, but didn’t even bother to go inside and see those paintings. My sister and I wanted our parents to take us to the beach, but never noticed the beautiful sun dropping into the sea, we were busy playing in the sands, building castles, it was fun too. At the market place, my sight was at the teddy bears and dolls but not on the artistic crafts. The entire trip was enjoyable! I had to do nothing but just play, play and play. 5 years later when my nephew was going through an album of mine, he asked me where was that photograph taken, then I said, it was Puducherry. He then asked me, where was it? 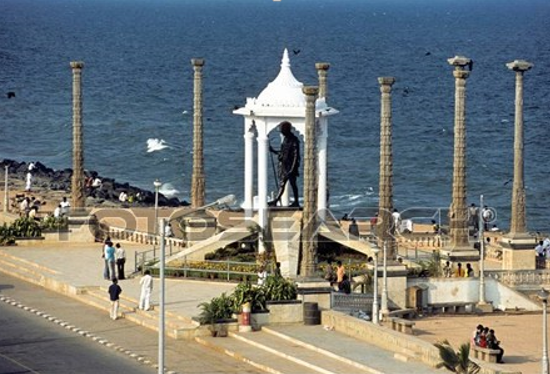 As I was working on my laptop I quickly switched the tab to open google maps and showed him Puducherry. My nephew kept asking questions about the places where we took the photographs. He actually wanted me to match the places in the photographs with the ones I showed him in laptop. This was the time when I read about those places which I had visited earlier. I was struck reading a page and didn’t notice that my nephew had already left putting the album aside. That was not a surprise as one can’t expect a first class kid to patiently sit with you and read something. But, thanks to my nephew that he actually made me go through some interesting stuff. My love for beaches was there since my childhood, by the time I finished reading, I had already made up my mind to ask my dad to send me to Puducherry once again. This time, alone! I know I won’t be possible to convince my dad, but there’s periyappa – Dad’s elder brother! So dad had no option but to listen to his elder one and send me there. This time it was well planned. I packed my luggage neatly, didn’t forget to put my dairy and camera. Finally, I was leaving for Puducherry. I had to wait to catch a bus called ECR Express at the Madras bus station, I had to do a mini size battle to manage to get a seat. The ironical part was, The ‘express’ made me reach Puducherry only after 5 hours of a roller coaster ride. It was after two hours, in the middle of the journey I noticed that ECR means East Coast Route, yes, it was the Bay of Bengal, I could see the sea blue line across the horizon. The scenery looked like a painting, the sky appeared as an extended stroke to the sea line. I somehow managed to capture that scene, but ended up having a blurred and a shaky one. I was expecting my sister to be at the bus stop, but it was my appa himself waiting for me. My sister had an exam the next day, so she was preparing and this was the reason why she wasn’t there at the bus stop. It was the next day which turned out to be memorable. I requested my appa to allow me to go with my sister to accompany her to the exam. He agreed to send me on my sister’s choice. I took my bag, put my camera and valet and then left for the day, my sister’s exam center was next to a church. I told her that I will be at the church by the time she returned. The church was beautiful. 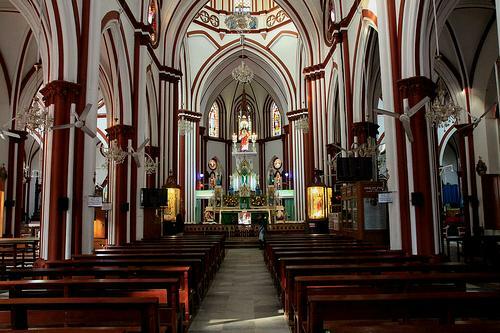 This church, located at Subbayah Salai, was built by the French in the 1700’s in a breath taking Neo-Gothic style with white and brown towers flanking a central gable. Beautiful stained glass panels depict incidents from Christ’s life. The church cemetery has interesting tombs with ornate marble decorations. I was mesmerized to see the church. My sister then finished her exam and we both went to the Gandhi beach. One will fall in love with the beach if one once go there. I and my sister share some common tastes and we enjoyed together sitting at the beach and watching the sun set. We took two snaps at the Gandhi statue, then shopped well this time, buying some useful stuff. My one week stay this time turned out to be my best trip ever and this was the reason I wanted to pen down my experiences. The other places I went to include, the Aurobindo Ashram. One thing that caught my attention apart from its ambiance is a message written in a thick blue ink by one of the Preachers there. It reads “The best way to express one’s gratitude to the divine is to feel simply happy”. Yes, That’s true. God has given us everything for a purpose, so instead of reaping for the things we don’t have, it is appreciable to be contended with what we have. The pollution less atmosphere , its sun and sands connect with you for lifetime if you once be there. 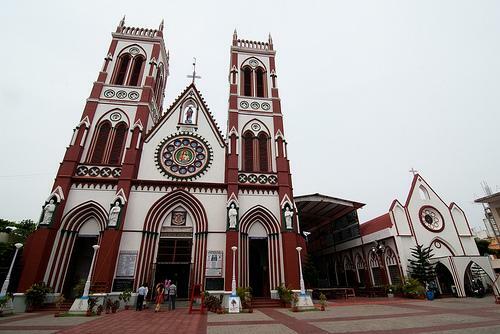 Puducherry is a must visit place in India. Do visit it. A vivid narrative writing style …good !